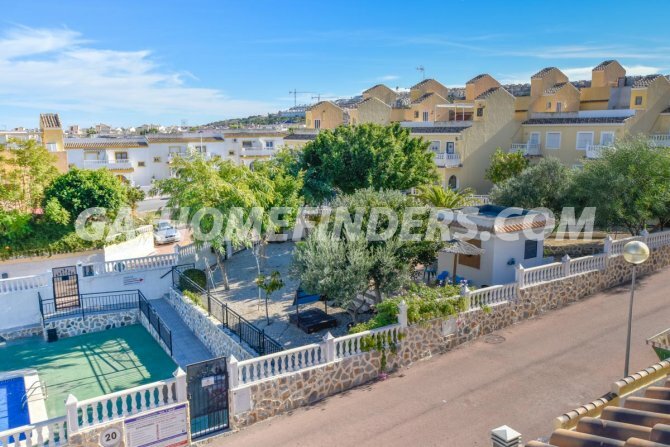 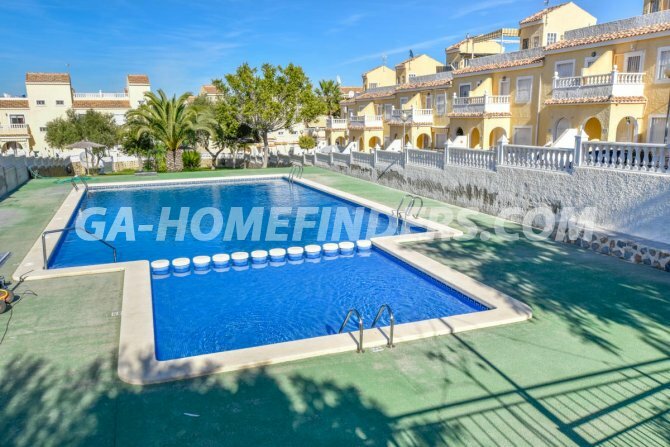 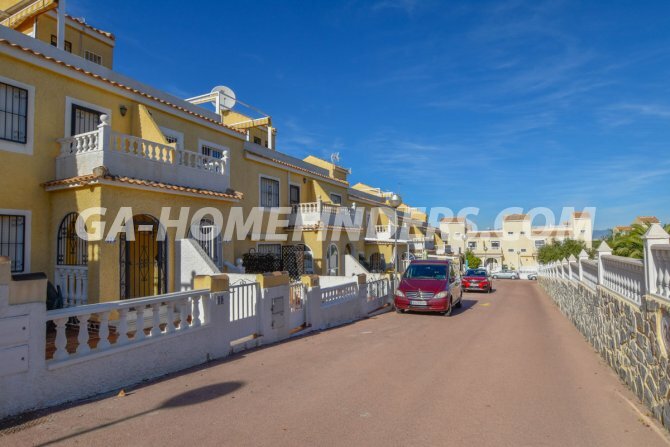 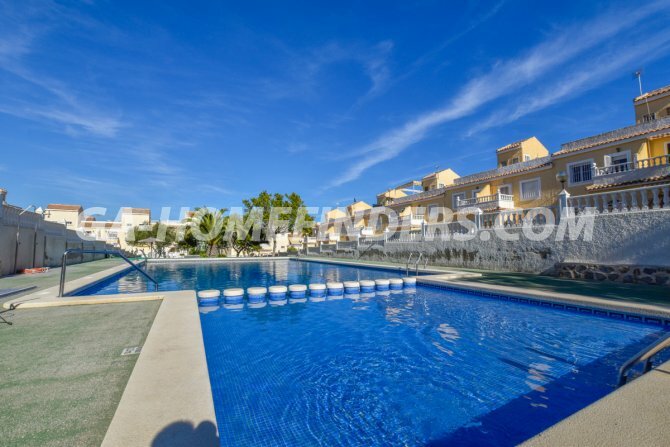 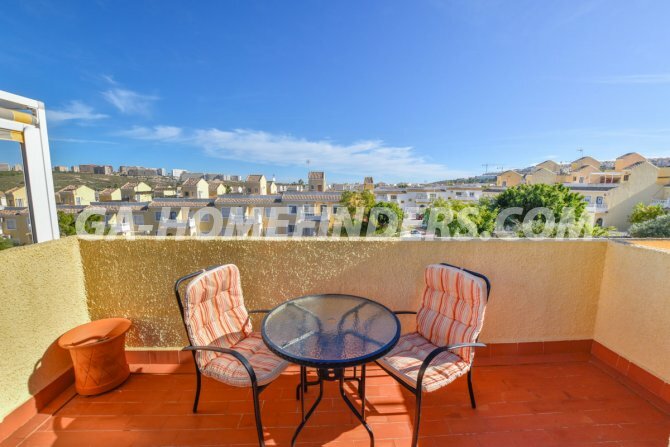 Furnished terraced house with 3 bedrooms and 2 bathrooms, overlooking the communal pool. 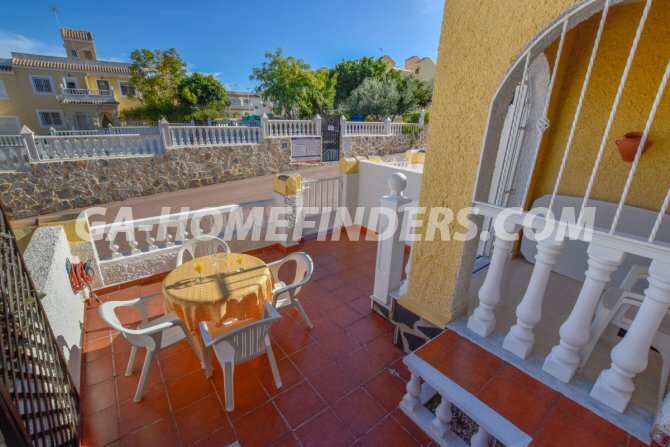 At the entrance of the house there is a garden terrace. 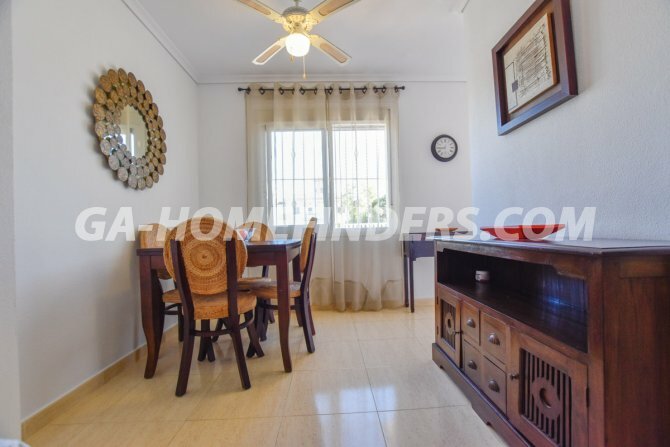 On the ground floor there is a dining room, a bathroom and the kitchen in perfect condition with all appliances and a gallery. 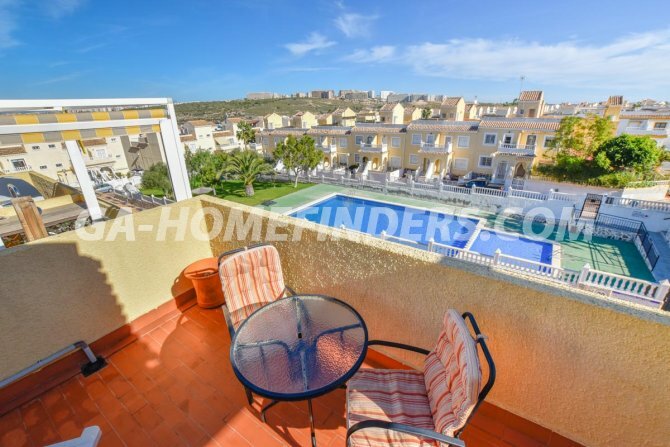 On the first floor there are two bedrooms with fitted wardrobes with the master bedroom having access to a balcony with beautiful views to the pool. 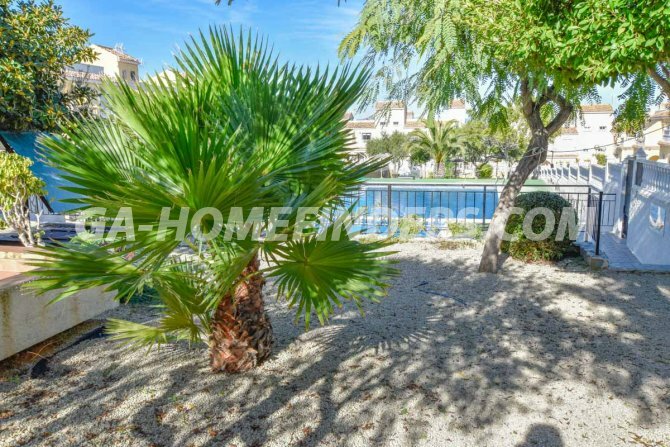 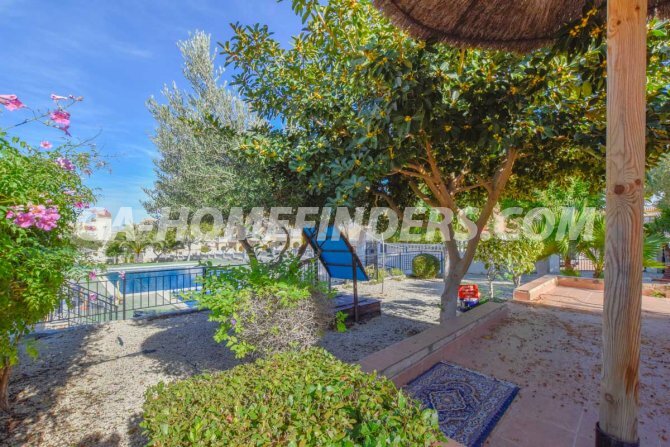 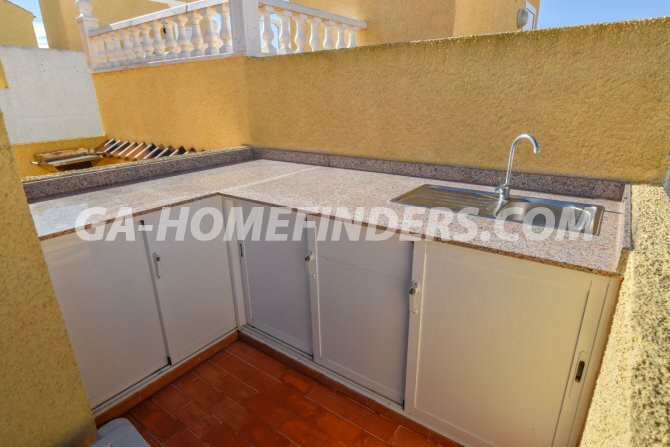 It has a large solarium, with a barbecue area and the additional of fitted storage units. 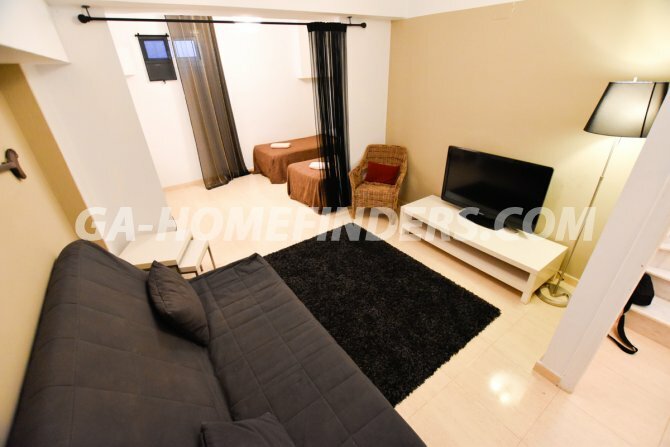 It has a basement, which has a living area and a room with two beds (third bedroom). 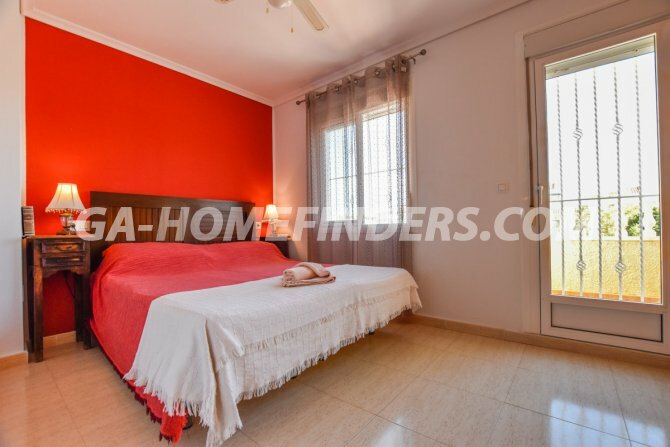 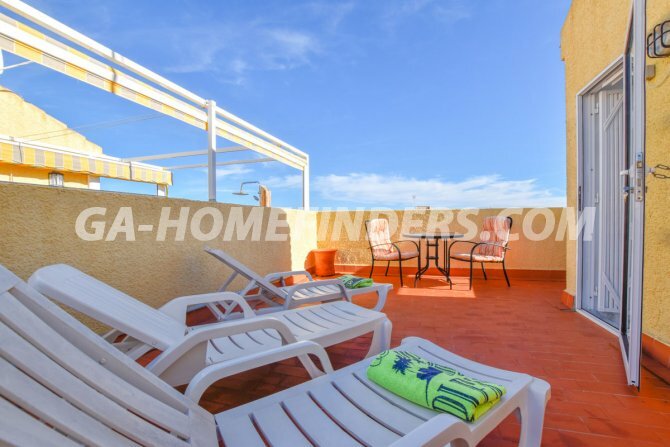 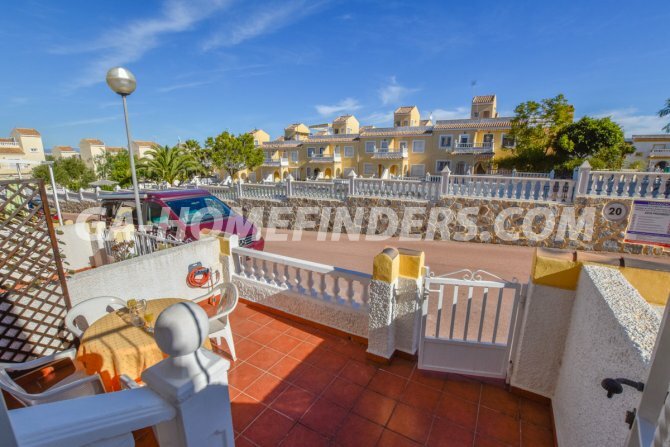 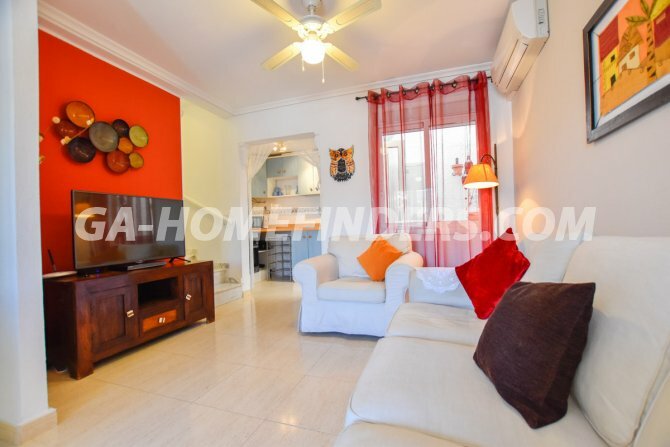 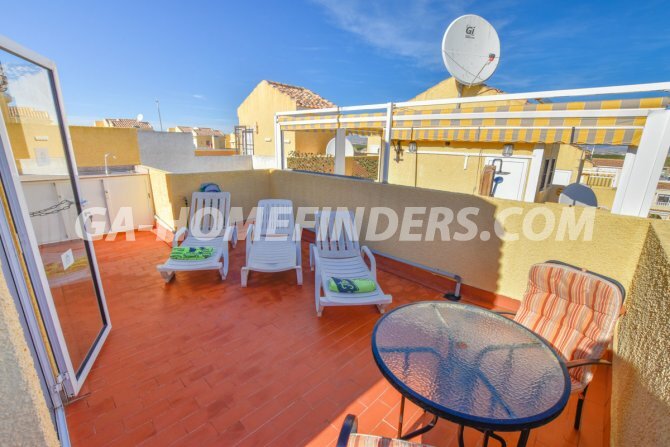 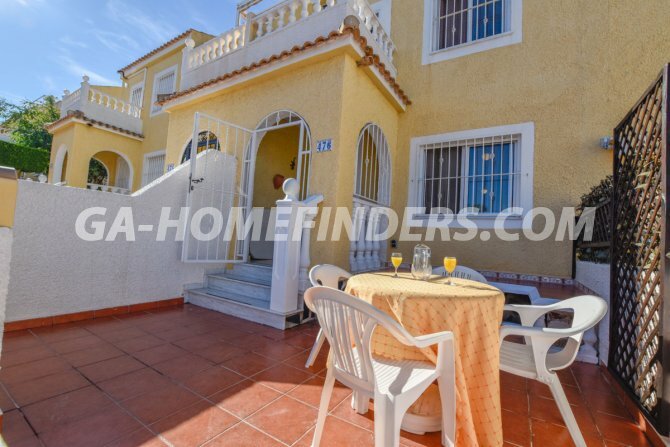 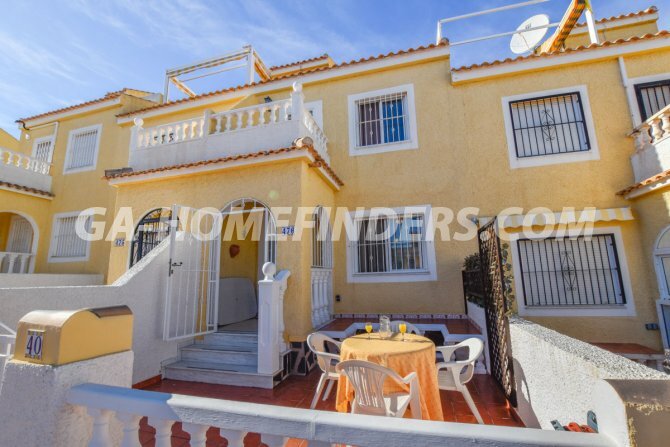 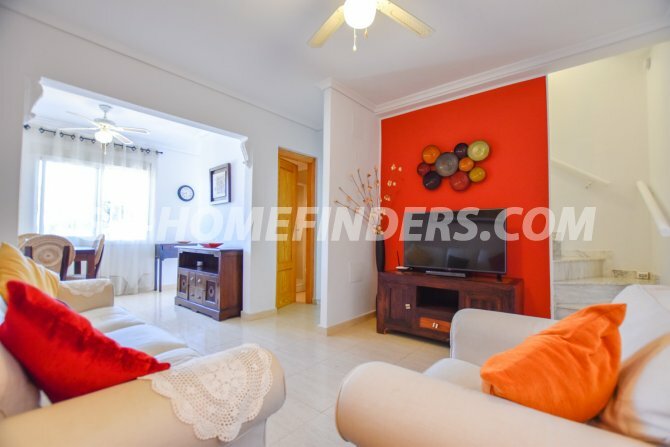 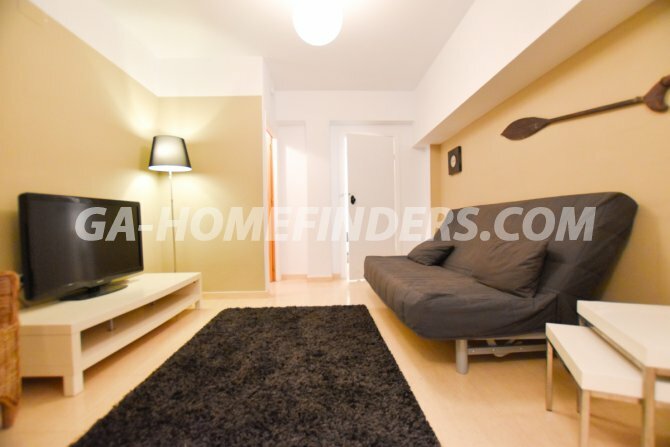 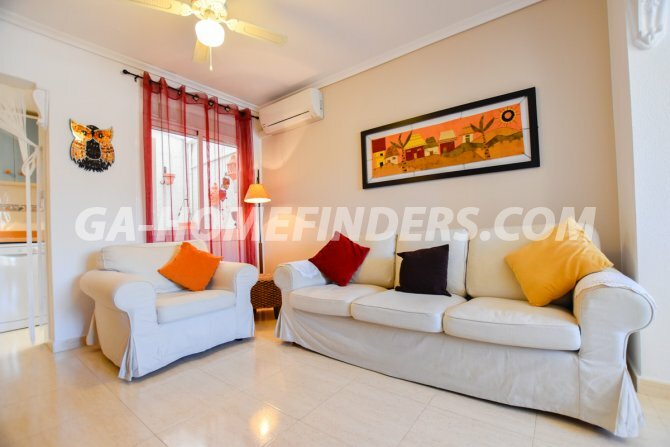 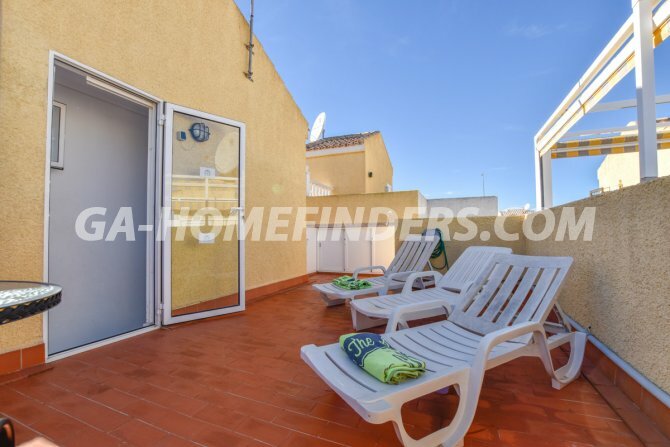 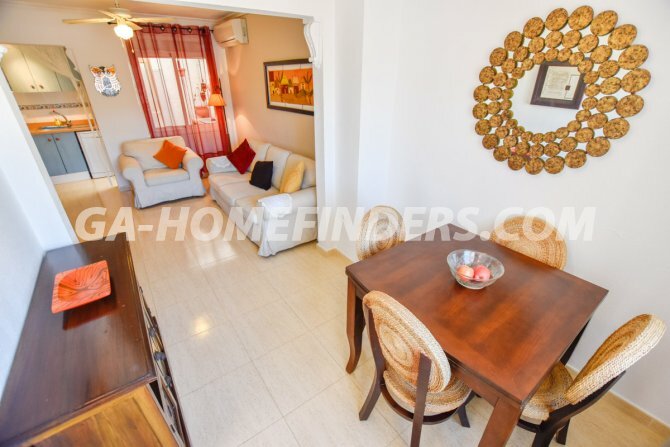 All the rooms have ceilings fans and there is air conditioning (cold and hot) in the living room.The house is located in the lower part of Gran Alacant within walking distance of the beach.